The Family Pet would like to welcome you, your family, and your special family member(s). As you explore our website, it is our hope that you will learn more about our dedication to your family and the quality veterinary medicine and service we provide. Our goal is to maintain a veterinary health care team committed to providing exceptional client service and veterinary health care. The Family Pet team displays an unrivaled commitment to our clients through continuing education, technological advances in veterinary medicine and service, and most importantly, administering compassionate care to all pets entrusted to us. We strive to make sure your pet is as comfortable as possible. With that in mind, we use cat pheromones in the hospital towels, beds and as a diffuser! 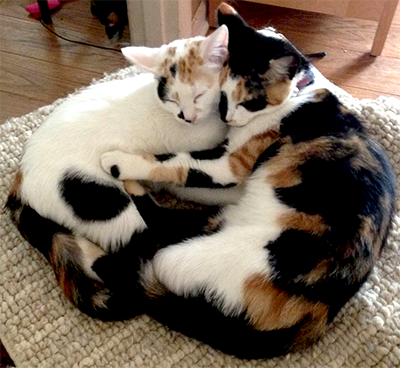 Feliway is a great way to let your cat know they are in a safe place they have been before. Our cat only ward isn't the only place this is beneficial, there are diffusers & spray available to take home to help calm your feline friends. Feliway can help new cats adapt to their new home better, help everyone get along or even help control spraying. Dogs too! The Family Pet uses Adaptil in an effort to assure our dog friends are as comfortable as possible. Loud noises, being home alone & strangers can be scary. 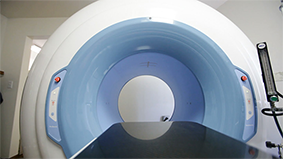 Seattle Veterinary Imaging, Division of The Family Pet Veterinary Hospital, specializes in CT scans. 3D CT (Computed Tomography) Scans are a safe, affordable, advanced imaging technique. CT scans result in 1000x more information allowing for a more precise and complete diagnosis of a pet’s injury or illness. Not having to run additional tests means savings of time and money! 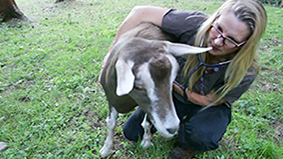 Barnyard Pet Vet, Division of The Family Pet Veterinary Hospital, specializes in treating Livestock animals; cattle, goats, sheep, pigs, alpacas, llamas and others. "I've taken my dog and cat here for about 2 years and been happy with the care they received...."~M.S.